When the wealthy and very eligible bachelor Charles Bingley purchases an estate in the Bennets' small town, he and the beautiful Jane immediately fall in love. But Bingley's arrogant friend Darcy just as quickly alienates Lizzy when she overhears him speaking dismissively of her. After you've read Pride and Prejudice, the first place to start is to read all of Jane Austen’s novels. Then, check out these modern titles that have been influenced by Austen's romantic tale of manners. Pride and Prejudice has produced numerous adaptations. Some of the notable film versions include that of 1940, starring Greer Garson and Laurence Olivier (based in part on Helen Jerome's 1936 stage adaptation) and that of 2005, starring Keira Knightley and Matthew Macfadyen. Notable television versions include two by the BBC: a 1980 version starring Elizabeth Garvie and David Rintoul and the popular 1995 version, starring Jennifer Ehle and Colin Firth. Pemberley Mansion is thrown into chaos after Elizabeth Bennett's disgraced sister Lydia arrives and announces that her husband Wickham has been murdered. Returning with her sister, Jane, to their Ohio hometown when their father falls ill, New York magazine editor Lizzy Bennett confronts challenges in the form of her younger sisters' football fangirl antics, a creepy cousin's unwanted attention and the infuriating standoffish manners of a handsome neurosurgeon. A mysterious plague has fallen upon the quiet English village of Meryton—and the dead are returning to life! Feisty heroine Elizabeth Bennet is determined to wipe out the zombie menace, but she's soon distracted by the arrival of the haughty and arrogant Mr. Darcy. 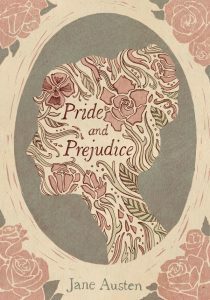 View more suggestions for modern retellings of Pride and Prejudice.